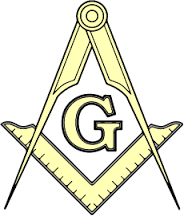 Donations – Mount Vernon Lodge No. 219 A.F. & A.M. Brethren, the lodge needs your help. We currently have the following projects that need your generous support: painting the new fire door, replacing the windows in the kitchen and secretary’s office, completing the kitchen renovations, remodeling the women’s bathroom upstairs, replacing the stove, and installing a mosaic floor in the lodge, updating the electrical wiring, maintaining the parking lot, and routine maintenance. Donations can be made by using a credit card*. Donations can be either one-time or recurring monthly. Click on the “Donate” button and enter the amount you wish to give. Please contribute to the lodge as liberally as you can, without material injury to yourself or family. Your benevolence is greatly appreciated. * Credit card convenience fee of 2.9% plus 30 cents applies. Taxes: We are a 501(c)(10) organization, therefore, donations to the Lodge for the repairs, maintenance, purchasing aprons, and jewels, etc., are not be tax deductible. However, donations to the Lodge for 501(c)(3) purposes, such as, “such contribution or gift is to be used exclusively for religious, charitable, scientific, literary, or educational purposes, or for the prevention of cruelty to children or animals,” are tax deductible. Last, all “unsolicited donations are welcome”.